When Saber clashes with Steele; more than sparks will explode! ​The drop site is traveling from Moscow to England. Steele insists on completing the mission to honor the death of his friend, Gerry Cornell. I love reading a wide range of books from spy to murder mystery to science fiction to biography. The biography is for when I want to explore the lives of others. The rest all fall into what I call escape reading. They take me away from my daily grind by drawing me into their plot. 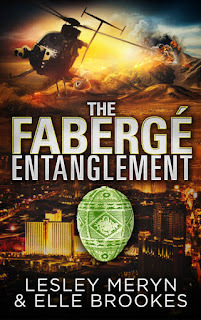 None do that better than one with international intrigue combined with a touch of romance. 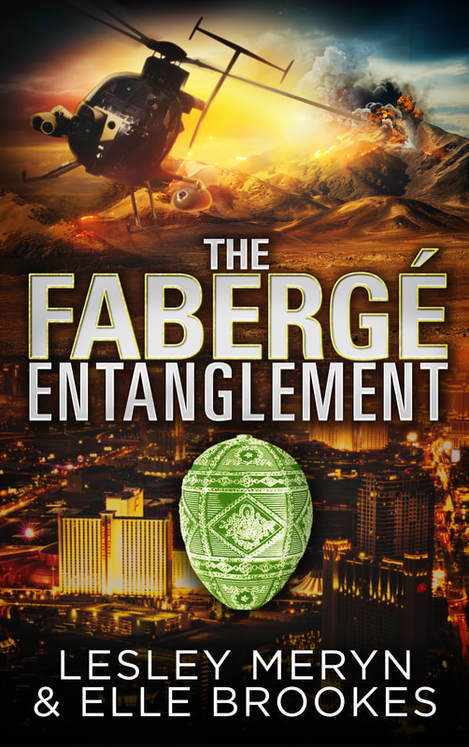 The Fabergé Entanglement does just that. Here we have a talented, smart, independent professional woman - Saber Darrieux - a great role model of how strong women can be. Opposite her is an experienced male British agent - Adrian Steele - stretched to his limit by the death of a friend and fellow agent along with three assignments back to back. When the two bump into each other - literally - trying to steal the same Fabergé egg, both are distracted from their job by their instant chemistry. Saber manages in the end to escape with the egg. Embarrassed by his failure, Adrian is surprised to be instructed to tail her. What follows is a cat and mouse game where who is lurking in the shadows is not actually clear. In the end it turns out more than one source of evil has their hands in the game. Saber is trying to deliver the egg to hopefully free her father from an unknown kidnapper. Adrian is following her to try to figure out exactly who is lurking in the shadows and ultimately return it to his agency to protect the secret hidden within. It becomes a fight for their lives with the outcome not looking good. ELLE BROOKES - Fab Author Interview HERE!